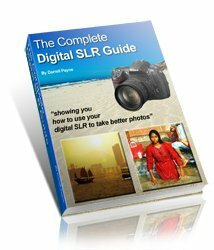 Here you will find the digital photography tutor photo submissions archives. These submissions are now closed. You can still view them and read the comments, but you will not be able to add new comments. But you can still contribute new photos! To do so, click here to go to the digital photography tutor home page and submit your photo! This is my beautiful autistic daughter. I was hoping to capture her personality in this shot. I did. This picture was taken by the pier on Mongoose Lake in Canada. I wanted to capture my block-mate and I wanted her to look like a model. This picture was taken outside my home on 06/25/07. I love taking pictures of hummingbirds, I feed them all summer long. I took this photo last summer in Bournemouth, on the south coast of England. This was my first shot at a lighted portrait. While I think the shot is fine, I am unimpressed with the lack of detail. My Mom designs bags and she asked me to take a few photos of them so that she could put a portfolio together. Sunsets look terrific, but are strangely difficult to capture in photos. Somehow, the magic gets lost. So what is needed for a good sunset? It was a full moon night and I wanted to create a freaky photo on that night. Photographing the moon is notoriously difficult. My father made this steel windmill for me when I was a child. It is approximately 50cm wide and is on the top of a 2 metres steel pole. It was actually a stolen picture. This was taken inside my room. Not much for us to go on from this photo, and I have to admit, Im a little confused. My father and I were taking a friend home, and I was taking pictures with my cell phone VGA camera. This was taken at a window on the third floor of the building where we study. The photo was take on the fisherman's dock. I saw the cat hiding behind the wooden bars and waiting to eat.